Decision-making pervades all aspects of midwifery practice across the world. Midwifery is informed by a number of decision-making theories, but it is sometimes difficult to marry these theories with practice. 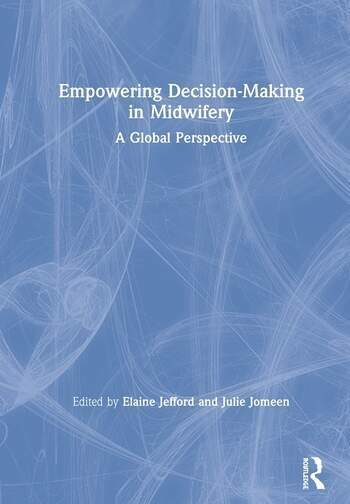 This book provides a comprehensive exploration of decision-making for midwives. The first section critically reviews decision-making theories, including the Enhancing Decision-making Assessment in Midwifery (EDAM) tool, and their relevance to midwifery. It explores the links between midwifery governance, including professional regulation and the law, risk and safety and decision-making, as well as how critical thinking and reflection are essential elements of decision-making. It then goes on to present a number diverse case studies, demonstrating how they interrelate to and impact upon optimal midwifery decision-making. Each chapter presents examples that show how the theory applies to practice and includes activities to reinforce learning points. Bringing together a diverse range of contributors, this volume will be essential reading for midwifery students and practising midwives. 5. Risk within maternity and how this impacts on midwives’ decision-making. 8. The use of reflection in midwifery practice to inform clinical decision-making. 9. Decision-making in perinatal mental health: what are the challenges? 17. Stillbirth and midwives decision making: what are the challenges? 23. Do personality traits impact upon Midwives decision-making and practice? 25. Developing the decision-making skills of Student Midwives in an Undergraduate Midwifery Programme in New Zealand. Elaine Jefford is a Midwifery academic and researcher at Southern Cross University, Australia. Elaine’s research is within the field of midwifery decision-making and abdicating one’s professional accountability, the impacts of this in relation to risk, safety and quality of care provision on maternal and neonate health, midwives, and the midwifery profession. Julie Jomeen is a Professor of Midwifery, and Dean of the Faculty of Health Sciences at the University of Hull, UK. Julie currently co-leads a Research Group for Maternal, Reproductive Health within the Faculty. A key focus of her work is exploring issues of perinatal mental health and psychological health in childbearing women.